68″ x 55″ acrylic on canvas, 2014. 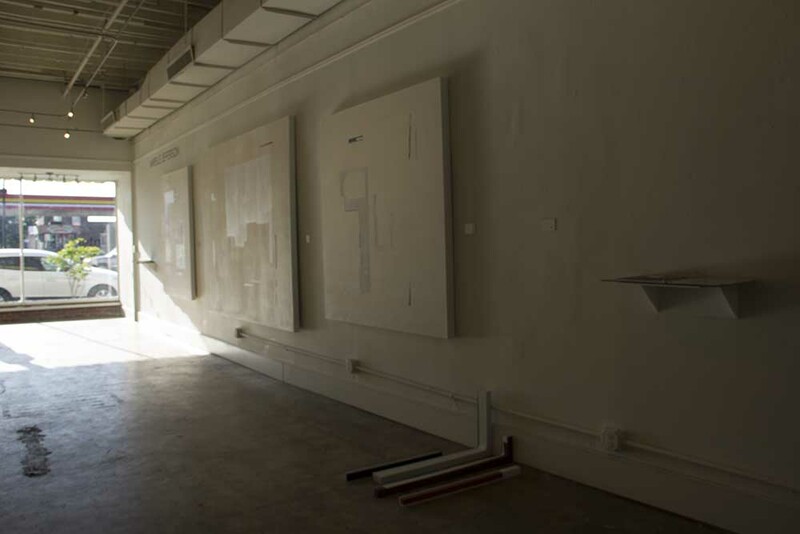 A collection of pieces seeking to bridge the divide between different art media, the “Inter-” art exhibition at the Ashmore Gallery displayed the work of graduating SCAD seniors. Jefferson had the privilege of showing several of her more abstract pieces. 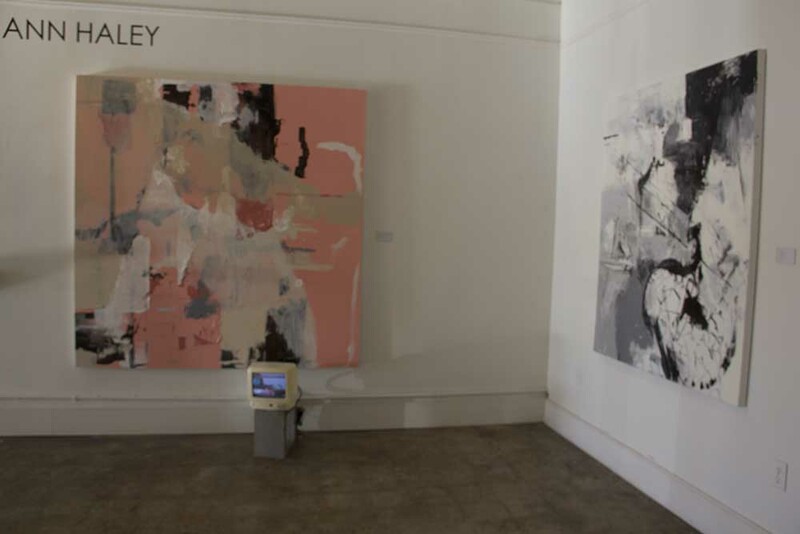 She and fellow painting seniors Ann Haley from Atlanta and Tim Kent from Overland Park, Kansas, utilized the gallery space to create an interconnected environment for viewers. According to Haley, the pieces not only complement each other in their non-objective nature, but also convey a combined aesthetic achieved through two different media. 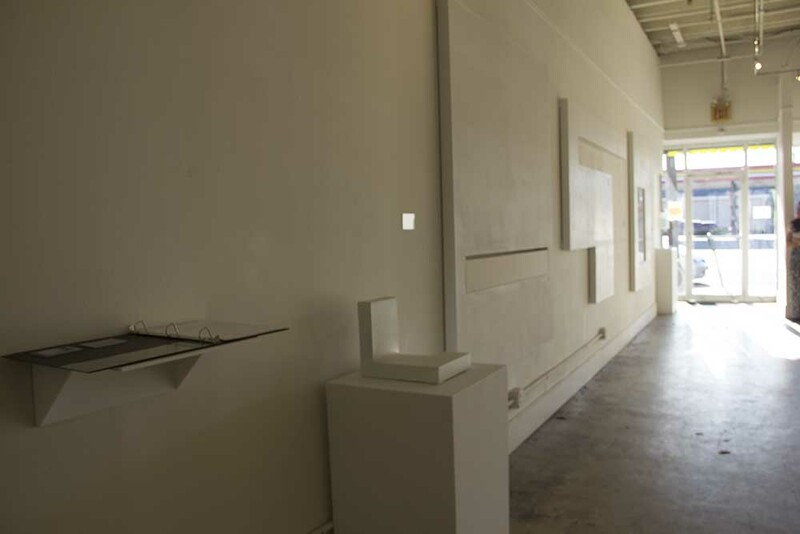 The idea of creating a gallery with different art forms inspired the group’s exhibition title. “Our title, ‘Inter-,’ is a prefix meaning between. We feel that the notion of “between” really embodies each of our concepts. Because our works are not exploring the same betweens, we specifically chose the prefix ‘inter-‘ to imply that there are multiple betweens,” said Haley in an email. Inspired by artists Julie Mehretu and Kazimir Malevich, Jefferson’s series is a collection of large scale paintings and 3-D sculptures that reference different historical works of art. The title of one of Jefferson’s large canvases, “Art Histories V,” gives away the study of art history as one of her main inspirations. Merielle Jefferson’s series featured in the “-inter” Exhibition at the Ashmore Gallery on 425 MLK Boulevard. Kent’s extensive background in building in a woodshop enabled him to break the mold using canvas, gesso and oil paint. His works shift the viewer’s perception of traditional canvases, manipulating the boundaries of several canvases. Tim Kent’s abstract canvas for the “-inter” Exhibtion, including the 3D structure “Objectified” (10x12x10 in. oil on canvas) and his obscure canvas “Outline” (63×96 in. oil on canvas). For Kent, part of the experience of viewing his 3-D structure “Objectified” comes from the viewer’s speculation. 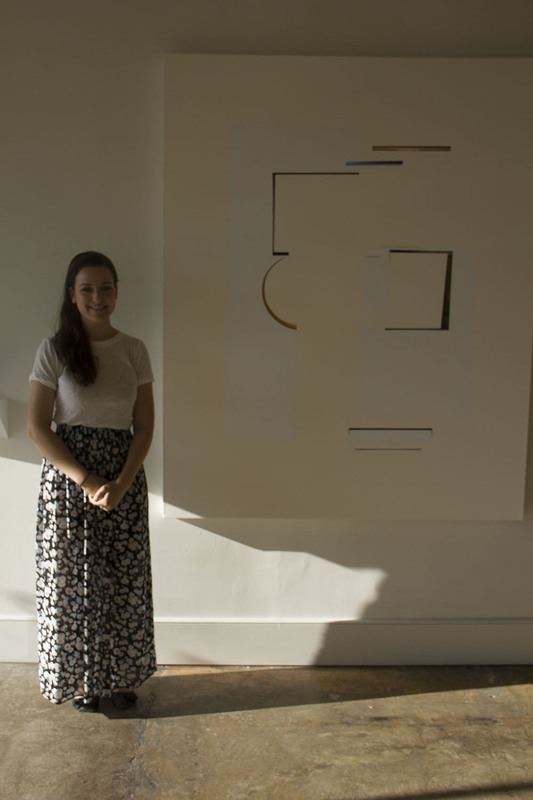 In addition to Jefferson and Kent, Haley further contributed to the dualistic theme with her installation-painting display. Haley took an organic approach to her work. She said she hoped viewers will pull what they want from her work, just like she does in the making of her work. Ann Haley’s intrinsic art pieces include “I Don’t Think You’re Ready For This Jelly” (72×72 in. oil on canvas, video) and her monochromatic work “Mossa, Cagna” (60×50 in oil on canvas). After SCAD, the students hope to continue their craft in other locations. Jefferson said she plans to continue her work in New York in the fall. Kent plans on going to Atlanta to create his own “studio/woodshop.” Haley is hoping to build her portfolio and continue her education through graduate school. They advise the underclassmen to work hard for their ambitions, believing the best rewards come from taking risks.